Benjamin Hawkins and the Creek Indians, ca. 1805, artist unknown. 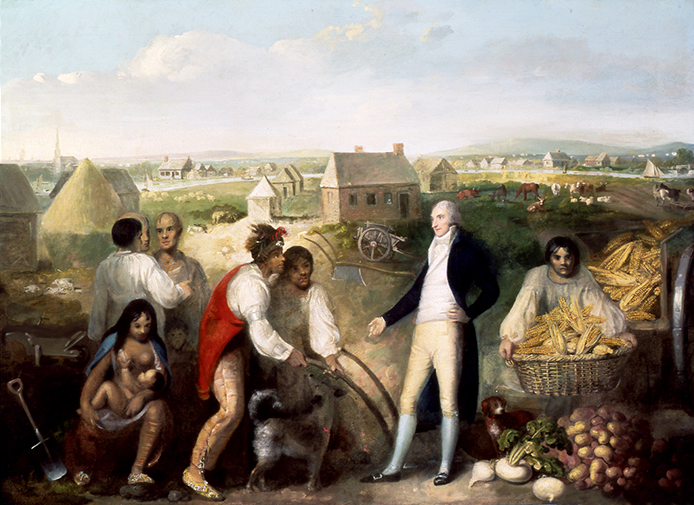 Government agent Benjamin Hawkins (1754-1816) lived and worked among the Creek and Cherokee Indians to promote the so-called "plan of civilization." Courtesy of Greenville County Museum of Art, Greenville S.C.